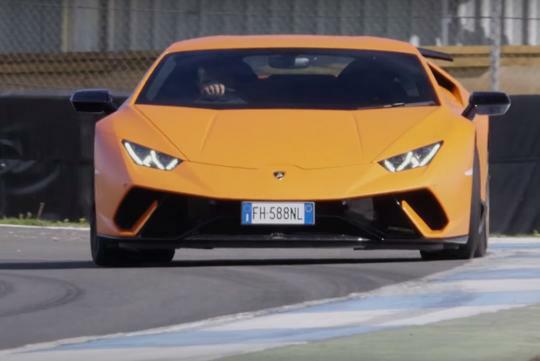 Chris Harris has gotten his hands on the Lamborghini Huracan Performante and for those that have some time to spare this Christmas, this is something worth watching. Shot at the Knockhill track in Scotland, the well-known automotive journalist and TV can be seen enjoying the Huracan Performante. As the hottest baby lambo on sale now, the car has posted a sub-7min Nurburging time, beating the Porsche 918 Spyder and even its bigger brother, the Aventador SV. Does all this speed make the Peformante a good drive? Watch the video and see what Chris has to say.